Mud Nationals is One of WARN’s Favorite Events | WARN Industries | Go Prepared. In it’s 10th year, with over 15,000 fans who love the mud in attendance for a 5-day event, the High Lifter ATV Mud Nationals 2015 event is one of a kind. From thick mud, to water tank mud, to every kind of mud in between, brown is the color of choice for the long weekend. And the WARN crew is right in the thick of it! 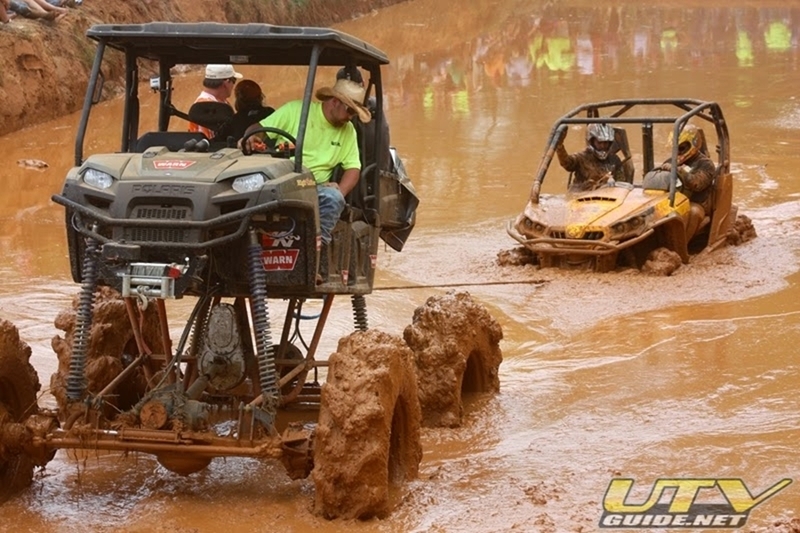 The event was created by High Lifter Products to provide an arena where ATVs and UTVs could demonstrate their abilities in competition over 4×4’s, primarily in the mud. It has grown from a weekend event to full-fledged five-day event with races including the EPI Endurance Challenge, the Polaris Mudda Cross, the Can-Am/BRP Mud Bog, the Dynojet Bad 2 Da’Bone, Mud Jam Stereo Competition, and the S3 Powersports Poker Run. Beyond watching the racing and competitions, muddy enthusiasts can roam the 4000 acres and find their own mud holes to enjoy. Some of the wildest vehicles from across the country converge to strut their huge lifts and the tallest tires in the west. After the sun sets, the stage starts to rock with concerts on both Friday and Saturday nights. Visit the Warn team and support trailer just inside the main gate. Among the many WARN items on display will be the brand new ZEON Platinum winch. The ZEON Platinum will be powered and available for anyone to try the new and exciting wireless technology. WARN representatives will be available to provide current powersports WARN customers with service and repairs. The event starts Wednesday March 25th through Sunday March 29th at Mud Creek Park in Jacksonville, Texas.